Researchers say that using a new visa-selling economic model could help governments eradicate human smuggling. The policy, designed by economists at City University London and the Toulouse School of Economics, involves pricing criminals out of the market while raising funds for improving traditional border controls. Researchers Dr Alice Mesnard and Dr Emmanuelle Auriol say existing schemes are not working and believe new policies are needed to control illegal migration and stop people paying criminals to smuggle them overseas. The academics' work has appeared in media across Europe, including the Guardian, Le Monde, France 24 and Repubblica, following recent tragedies in the Mediterranean. 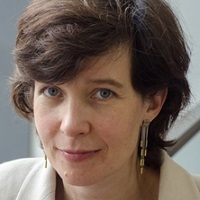 Dr Alice Mesnard, Reader in Economics at City, said: “Human smuggling is booming and has become an urgent concern for governments and civil societies across the world. “The death toll from trafficking is increasing rapidly and estimates suggest criminals are making billions of dollars a year from the practice. “It is clear that traditional methods of repression are incapable of stopping immigrants entering countries illegally, including the UK and Europe. “Our research looks at the root of the problem and, taking into account the other options available, we believe that our novel policy is the only viable solution. “Human smuggling carries an exceptionally high risk for migrants, puts money into the hands of criminal gangs and hinders governments’ abilities to regulate the flow of people across their borders. 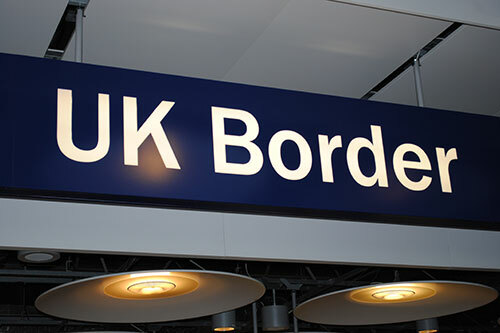 Dr Mesnard and Dr Auriol, a Professor of Economics at Toulouse School of Economics, say that putting visas up for sale at the same price as the fee of smugglers would increase the total number of migrants – but argue their two-pronged method could limit this rise. “Indeed, smugglers will respond by decreasing their prices and compete with authorities by attracting poorer would-be migrants, who might prefer to pay a lower price for the crossing, albeit with higher risks,” explained Dr Mesnard. “This will occur unless the price of visas is set so low that smugglers cannot compete any longer by proposing lower fees without making losses. However, the researchers argue that a rise in migrant numbers could be limited by using funds from the visa sales to improve border and internal controls, which would increase the costs to smugglers and decrease expected gains from illegal migration. Dr Mesnard explained this would be the only way to allow authorities to push smugglers out of the market without dropping the visa price too low. “Since smugglers’ operating costs increase with enforcement of border controls, one way to limit an increase in migration flows, which would happen as a result of the new policy, is to force their costs up at the same time as pricing the visas,” she said. “Another way is to enforce internal repression, such as sanctions against employers of illegal migrants and deportations. “Our findings show that, accompanied by reinforced repression, the selling of visas does not need to be at a low price in order to push smugglers out of the market. The research paper is available to view here.